The six-day, or 144-hour visa-free transit has been introduced to Chengdu, a fascinating travel destination in China. This benefits citizens from 53 countries who are transiting in Chengdu for a layover not exceeding 144 hours. That is, you are able to stay for as long as six days in Chengdu without applying for a visa in advance if you are from one of the countries. 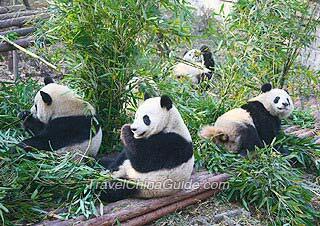 Making use of the visa-free policy will not only save your money, but also give you a chance to enjoy a hassle-free layover tour in Chengdu. Passengers qualifying under the 144-hour visa-free transit are allowed to travel within Chengdu only. It means they cannot leave Chengdu for other cities. In case they indeed need to go to other Chinese cities after arrival in Chengdu, please apply for a visa at the local exit and entry administration. 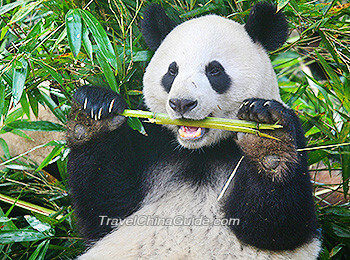 You need to take an international flight to enter Chengdu, and then catch a connecting flight to leave for the third country. NO stop in any other mainland Chinese cities is allowed. Note that A and C can refer to foreign countries as well as Hong Kong, Macau, and Taiwan. 4. An arrival/ departure card. If you wish to transit in Chengdu and use the 144-hour visa-free transit facility, only Shuangliu International Airport can be used for your entry and exit. The contact number of the airport is 0086-28-85205555 if you have any further queries. When mentioning Chengdu, what comes into your mind first? I guess the answer is pandas. They are fluffy and cute, and mostly inhabit Chengdu, China. A Chengdu trip is never complete without greeting with the pandas. The Panda Base, only 10 km (6 miles) from downtown Chengdu, should be absolutely on your destination list. Half a day is enough for the visit. The Chunxi Road Pedestrian Street and the Wide and Narrow Alley nearby are perhaps the most thriving part of the city. 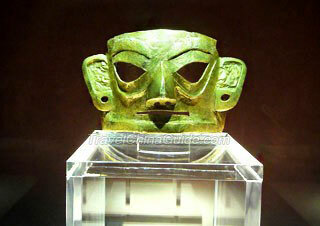 There you can see two sides of Chengdu, fashionable and antique. International brands gather here in large shopping malls, while vendors sell small traditional commodities on the streets. You can enjoy a wide variety of Chengdu snacks there, like wonton, boiled glutinous rice balls, or spicy chili skewers. Sometimes it is nice to sit back and enjoy a nice cup of tea, and embrace the slow lifestyle of Chengdu at a teahouse. Some teahouses offer the ear cleaning service. Time permitting, you can have your ears picked, which makes settles your nerves and is more relaxing. If you arrive at night, you may visit Jinli Street, where you can enjoy a similar travel experience to the Wide and Narrow Alley, but more charming as a night piece. Hotpot is what makes Chengdu so famous in terms of its food. If you get used to spicy and hot food, do take the chance to challenge your taste buds. There are numerous hotpot restaurants and you can find one easily no matter where you are. In some restaurants, the classical face-changing performance in Sichuan opera is available, adding fun to your meal. Would the following route be ok for Chengdu 144 hours visa free policy? It seems to me that you need to have a 3rd country - if you do a stop over in Abudhabi on the way home then does this count as transit? And then you would just show your booking in Shuangliu Airport - which would show your outgoing flight would be to AbuDhabi? And of course the other way round - so having a small vacation in AbuDhabi first, and then flying to CD, and then flying to the UK? The UK is still the first and final destination, but AduDhabi is being used as a second holiday destination? I mean not just using AbuDhabi as a layover for a connection, I mean using it as a mini holiday destination, either before or after CD, to provide a 3rd country. You are flying UEA-CD-UAE and therefore you're not in transit at CS. It's irrelevant how long you spend in UAE. You need a Chinese visa or different flights. UK is still the first and last destination, it is just the flight connection in a different country? Only the stops immediately before and after Chengdu are relevant. UEA-CTU-AMS on non-stop flights clearly qualifies. Will I be eligible if I travel from UK to Chengdu then Hong Kong? Does this need to a on one airline ticket? Or can I book UK to CD, and CD to Hong Kong, and Hong Kong to UK? I would book all flights in advance from UK. I will be travelling to Phuket, Thailand and will be transiting in a couple of Chinese cities on the way back home. From Phuket, the first flight will arrive in CD City. After an 8 hour layover, the next flight will take me to Shanghai Pudong. After a 19 hour layover in Pudong the next flight will be to go back to Canada. Will I need a Visa to transit from CD to Pudong? Yes, you need a visa. Two stops in China limits you to 24 hours transit without visa. We will be in china for 27H 10M from the landing time of 8:50 AM on April 25th. If we check in before 8:50 AM at PVG will we still be able to leave the China? It doesn't matter when you check-in. The 24 hours is counted from scheduled arrival time in China to scheduled departure from China. If it's a minute over 24 hours then either you need a visa or you must change your flights. Hello, what are exactly the boundaries of the city of Chengdu ? According to Google maps, the city is very large. May I go visit the Longchi national forest park for example under the 144 hours visa exemption ? No, the Longchi National Forecast Park is located in Dujiangyan City. Thanks. I well then stay in the city of CD. and back to Paris from Taipei. I will stay less than 72 hours in CD. Could you please tell me if the visa-free transit will be granted ? Is the local police at the airport truly aware of the visa-free transit ? Yes, you can enjoy the visa free transit. In addition, yes, the staff know this policy. Sichuan Airlines said you can only stay 48h in Chengdu without visa. The 144h is not in effect. They said it is the same for Beijing & Shanghai. Is this the person at the airport that said this? Phone agent with airline usually are wrong about it, there has been a 72 hour transit in Chengdu for many years, this was just extension to 144 hours. They are completely wrong about Beijing and Shanghai which is not new so they probably don't know what they are talking about. This assumes your route qualifies and you have one of the 53 approved passports. It must be country A > Chengdu > Country B and no other landings in mainland china.